The Motown East Zone has openings for 2 part time warehouse positions out of our Sterling Heights facility. The online applicant system will be turned on at 7:00 AM Monday, December 21, 2015 and will close once we have 30 applicants. All applicants must apply on line at www.fritolayemployment.com. Advise your client group to enter zip code 48313 to access available positions, following the prompts. Individuals who wish to request a reasonable accommodation will find a link, as well as a phone number on the fritolayemployment website. Further information, job descriptions and process are detailed on the website. Before televisions and central air conditioning ushered people inside after dinner each evening, the front porch was a beloved gathering place for families and friends. Children played in the yard. Adults discussed the day's events. Stories, jokes and opinions were freely exchanged. Neighbors stopped to chat for hours before retiring to their homes for the night. That's quite a contrast to today when a text message or Facebook update is quickly sent before moving on to the next urgent matter. Detroit, December 17, 2015 -- A new Freedom Center Military Lounge, located adjacent to Gate D-17 in the Detroit Metropolitan Airport's North Terminal, officially opened today for the benefit of travelling members of the military, their families and veterans. The lounge was made possible by a generous $100,000 grant from The Masco Foundation, combined with the continued financial support of corporations, including Meritor, Delta Air Lines and many other area companies. 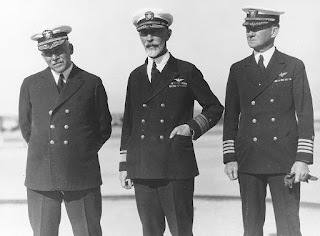 Joseph Mason "Bull" Reeves (1872 – 1948) was known as the "Father of Carrier Aviation" for his role in integrating aircraft carriers into the Fleet as a major part of the Navy's attack capabilities. Reeves retired in December 1946 with the rank of admiral. Reeves was born on November 20, 1872 in Tampico, Illinois. He received an appointment in 1890 to attend the Naval Academy, where he became a football hero. In addition to his on-field heroics, he is credited with the invention of the modern football helmet, which he had a shoemaker create for him after he was told by a Navy doctor that a kick to his head could result in "instant insanity" or death. Reeves graduated from the Academy in 1894.
? (317) 630-1253? Fax (317) 630-1368 FOR IMMEDIATE RELEASE Commander: VA "has a long ways to go"
Listed below are the events I have for the next 14 days here in the Metro Detroit area, of which there are many! Things are slowing down a bit since this event listing which has 5 new items! 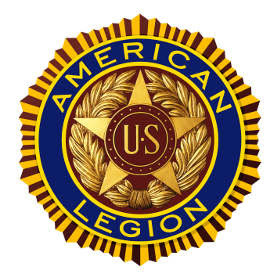 You can also go to the Legion 328 website to download any flyer for these future events.?? http://www.legionpost328.org/events.html?? DETROIT - Titan Basketball WANTS YOU if you are a veteran on Saturday, December 19, as the high-flying Titans host Central Florida in a 1 pm game at Historic Callahan Hall on the campus of University Of Detroit Mercy. Officially, it is being called Military Appreciation Day and all veterans with proper ID can purchase tickets in advance or on gameday and receive one free ticket and an additional ticket for a friend or family member. Others in the group will be able to purchase tickets for half price.